During the summer of 2017, I travelled throughout France. Now I am sharing the stories of the commons I met along the way, never knowing what I would find in advance. These articles were originally published in French here: Commons Tour 2017. The English translations are also compiled in this Commons Transition article. This new postcard will be sunny! 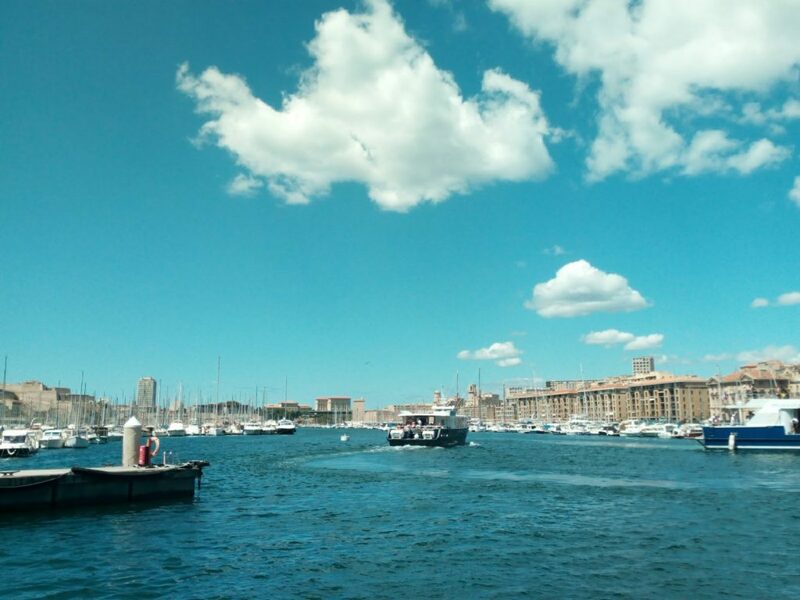 If there is one characteristic peculiar to Marseille, it is its light. This is what I discovered by spending a few days there on the invitation of Pierre-Alain, a commoner with whom I had already communicated on the theme of the assemblies of the commons. That’s how I had the chance to participate in the very first commoner meeting of that region. It was an opportunity to get acquainted with about ten participants, and discover the diversity of their profiles and respective projects, from the association leader to the lawyer, through the researcher, the doctoral student and the company managers – the table looked like my idea of an assembly of the commons: a joyful mix of heterogeneous careers.